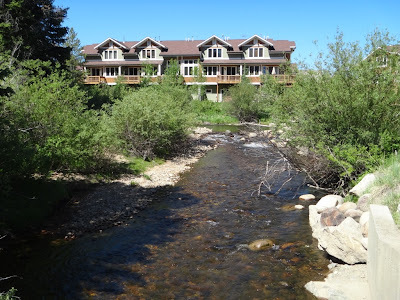 Photograph 1 - Our accommodation is near a running mountain stream and amongst other holiday units. 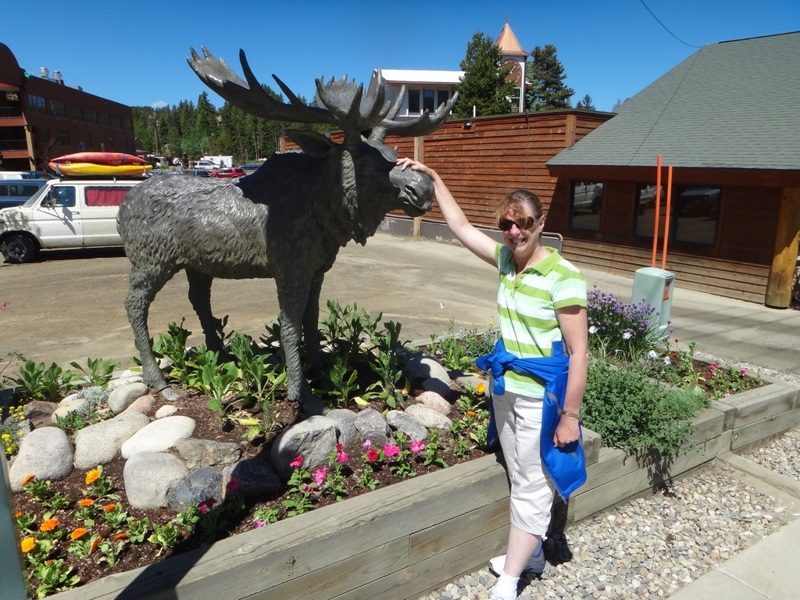 Photograph 2 - The closest we will ever get to a moose. Taken along the main street Winter Park, Colorado. 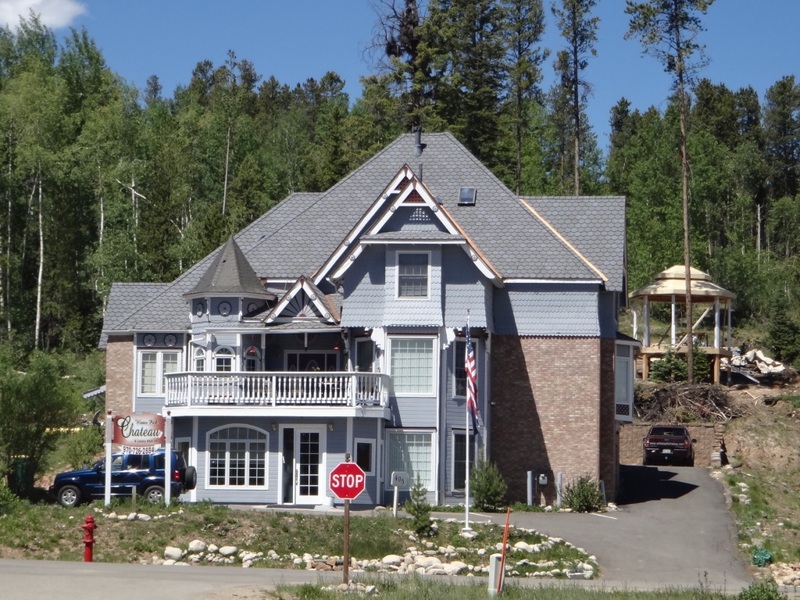 Photograph 3 - One of the elaborate B&Bs in Winter Park, Colorado. 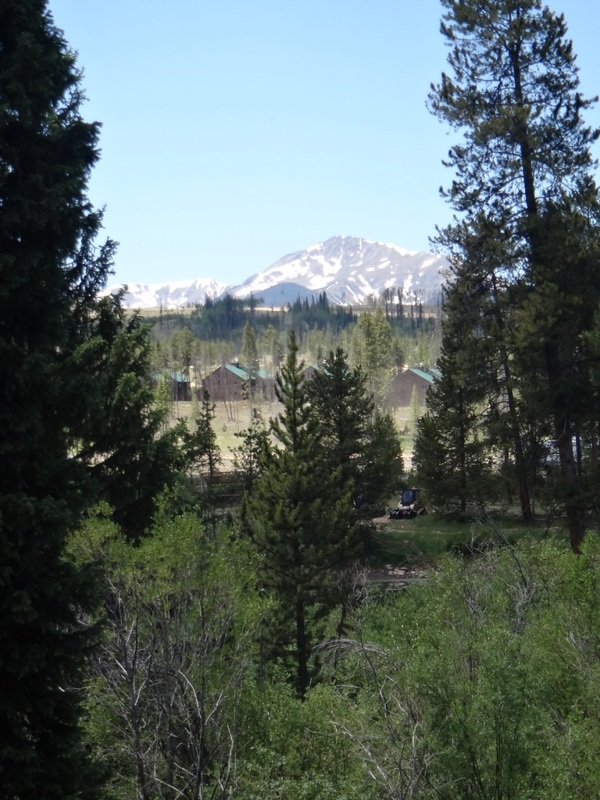 Photograph 4 - Our view from our accommodation front door, Winter Park. 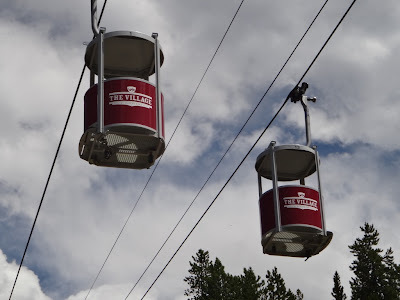 Photograph 5 - Hibernating ski "buckets" Winter Park Resort, Colorado. 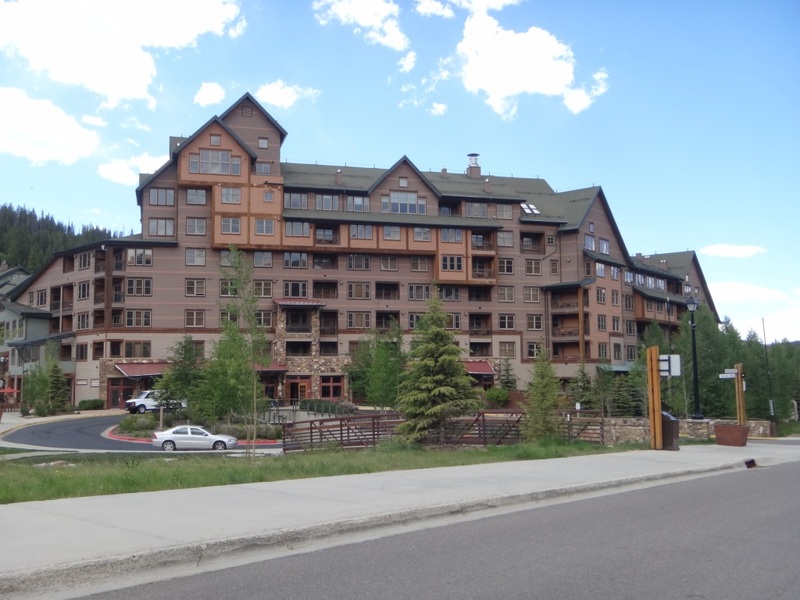 Photograph 6 - The biggest resort in Winter Park - packed out in winter time! Today was a..........r...e....s...t day. We basically did nothing except go for a walk along the main drag of Winter Park and soaked up the beautiful warm day. We estimated that the walk was about two miles in distance. In the afternoon we drove around the Winter Park Resort area and it was a ghost town. In winter things are different - all toll booths are active, skiers are frantically racing through six feet of snow trying to get that chair lift for a fun day sliding down a steep mountain. But now only hikers are accommodated and the place is almost deserted. That is the way we like it. At our front door we have a magnificent view of the Rockies with chipmunks and woodpeckers abound - no bears yet - however we did see a moose, but he didn't move an inch (see photo above)! Inside we have all the comforts of home and wish we could bring this excellent piece of real estate back to Oz for a granny flat. Anne has felt the wrath of soroche (altitude sickness) and found it a bit difficult in walking without having that brief break. The altitide we are at is circa 9.5K feet high that has 40% less oxygen. Tomorrow we are going to the Rocky Mountain National Park and experience what John Denver describe as Rocky Mountain High - hope we don't see grandmother's feather bed thou! Until tomorrow - cheers.